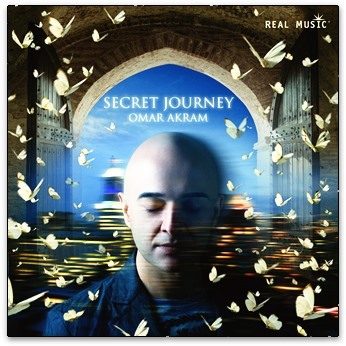 Musician/composer Omar Akram has collaborated with composers Gregg Karukas and E. Mike Vasilomanolakis to create an elegant collection of relaxation pieces with a world music beat. 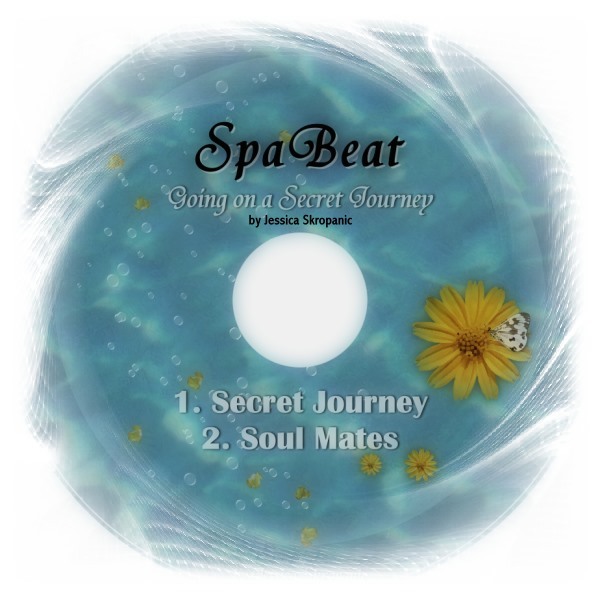 Their CD Secret Journey is a pleasure for the senses, and is appropriate for at-home relaxation or listening in your car on the way to work: It’s relaxing without being sleep-provoking. It’s truly versatile: Use it for yoga, massage, or meditation. Akram’s goal as a musician is to create a universal language between peoples around the world. This CD definitely accomplishes it, mixing a variety of sounds and rhythms, yet creating a logical flow from one track to the next. Tracks include the upbeat Run Away with Me, which feels like a joyful run through an open field. The second and title track, Secret Journey, is a more pensive piece, commencing with piano and guitar, with percussion moving in gradually. Seven Secrets, track six, is a feast of violin and guitar. My personal favorite was track seven, Whispers in the Moonlight: I loved the use of complex percussion which still does not overshadow the guitar and piano. Other tracks include Nomadic Rhapsody, Passage of the Heart, Gypsy Spirit, Stargazers, Mirage, Shimmering Star, Caravan, and Angel of Hope. Visit www.realmusic.com/secretjourney.php to sample each track. Omar Akram plays acoustic piano and keyboards, with Gregg Karukas on keyboards and percussion, Ardeshir Farah and Ramon Stagnaro on acoustic guitar, acoustic guitar, Pedro Eustache on flute and duduke, Charlie Bisharat on violin, and Ron Wagner performing various ethnic percussion. Total playing time is approximately 57 minutes. Just because Valentine’s Day is over doesn’t mean that love isn’t in the air! Danny Wright’s debut album for Real Music Soul Mates is a feast of springtime romance. Violinists Lauren Laing and Milo Deering accompany Wright’s piano compositions. Reminiscent of a quiet stroll outdoors, Angel’s Voices is carefree and contented; a happy mood created for a purpose - the Tornado Relief Fund. The title track (track two) is more tender and thought-provoking. The Water is Wide offers some of the best violin accompaniment on the CD. Everlasting Love was composed for a wedding gift to Wright’s friends: I can only imagine how happy they were to receive it! It is truly sublime. Greyson's Lullaby is uplifting with its ‘tinkling’ playful sound. One of my personal favorites, the final track Together Forever is the sweetest of Wright’s pieces, with truly passionate violin and piano playing. Wright’s first album is ebullient – Spring Fever on a disk! Other heart-warming tracks include Keys to the Heart, Loving You, Everything Must Change, The Prayer, and Tender Moments. Hear samples of tracks at www.realmusic.com/i_wright_soulmates.php. Total playing time is approximately 71 minutes.